Dentistry is advancing… fast! It can be overwhelming to stay on top of the breakthroughs in this industry, but at Arizona Periodontal Group, Dr. Trujillo is actively pursuing new procedures and techniques to make your experiences here exciting. Last week, Dr. Trujillo and a colleague visited a dental lab to learn new ways to make dentistry easier and more comfortable for the patient. He toured the lab and got a “behind the scenes” look at a side of dentistry to which we aren’t commonly exposed. 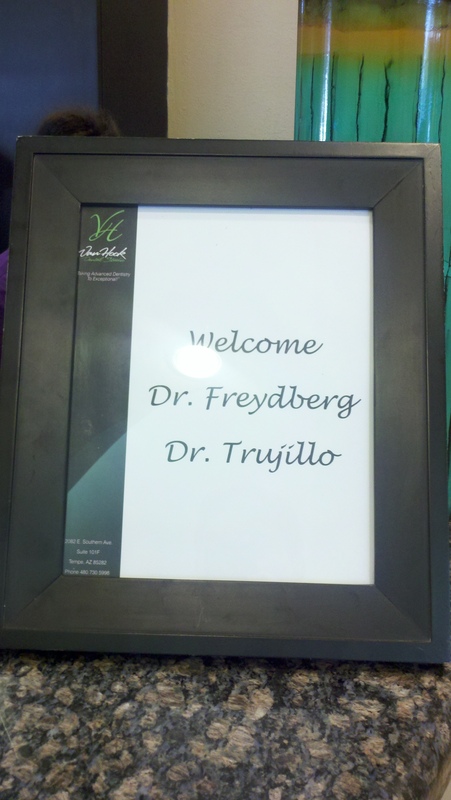 Dr. Trujillo is researching the best methods to improve periodontal treatment at our office, including dental implants. Stay tuned to our blog to learn about some of these new techniques and how they can benefit you! ***For nearly 30 years, Van Hook Dental Studio has been a leader in the fine art of dental restoration.